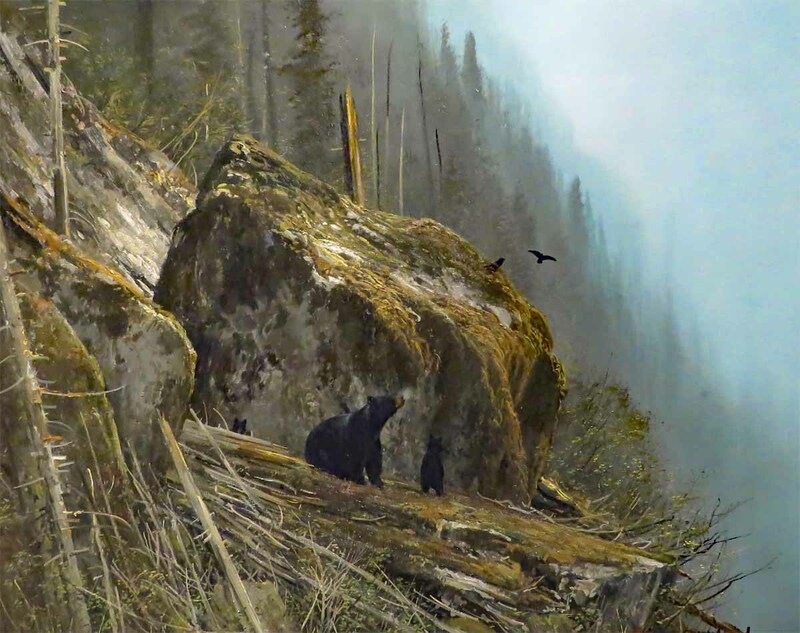 According to the artist Michael Coleman, “Brothers of the deer refers to the ravens in the painting. The ravens were in many cases spotted on the horizon, preceding the migration of the great herds of caribou, and called brothers of the deer by northern tribes,” in referring to this painted scene on Vancouver Island. I called my dad, because I was worried about my Aunt Betsy, his sister. She lives in Wilmington, NC and had decided to shelter in place during Flo. I first asked him how things were going, to which he answered, “Not so good.” My heart sank, but as it turned out, it was nothing. His Internet was out and he was missing it. It had been out for a few days and AT&T’s past promises of fixing the problem had already come and gone. It has been diagnosed as part of a sporadic outage that is affecting the area and has nothing to do with the equipment at his end. It sounded like a first world problem. As it turned out, he had called Betsy after the storm and she was fine. There was no damage to her home, but she had lost power. Consequently, she didn’t want to talk very long, for fear of losing the charge on her cellphone. Anne and I went to The Rep last night, kicking off our theater season. I had to switch our regular tickets for this show and a number of others, in order to accommodate our future travel schedule. I did pretty well, except for a show in January (Sorry Joanie) and last night’s show, which I had to re-reschedule. Andrew Lloyd Webber’s “Evita” was the show. This historical musical about Eva Peron of Argentina was one of Webber’s early shows. As it turns out, next week we have tickets for “Love Never Dies”, Webber’s sequel to “The Phantom of the Opera” and one of his latest shows. It will be interesting to compare and contrast these two works. I noticed many similarities between this show’s music and its predecessor “Jesus Christ Superstar”. It will be interesting to look for similar comparisons between “Phantom” and “Love Never Dies”. This entry was posted in Art, Family, Theater and tagged Saint Louis Repertory Theater by RegenAxe. Bookmark the permalink.